Summer is here! I’m thrilled about all the delicious vegan ice cream from So Delicious Dairy Free! 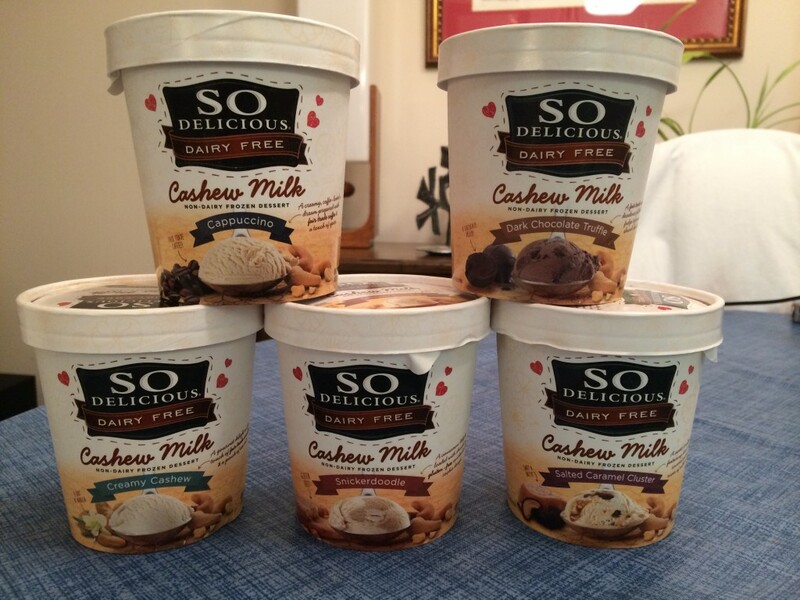 Get ready to taste incomparable yum: So Delicious Dairy Free has launched 5 flavors of completely vegan cashew nut milk ice cream. All I can say is WOW. I had a few friends over for a sampling party. We all agreed: this is some of the best ice cream we’ve ever tried. These cashew cuties come in gluten-free Snickerdoodle, Salted Caramel, Dark Chocolate Truffle, Cappuccino, and Creamy Cashew. The pint containers are listed with a serving size of 1/2 cup. (That’s a lot of ice cream!) Each serving has between 150 – 190 calories per serving. Honestly, the cashew milk makes them so creamy, that I was satisfied with just one scoop (about 1/2 a serving). Yay for a vegan world! 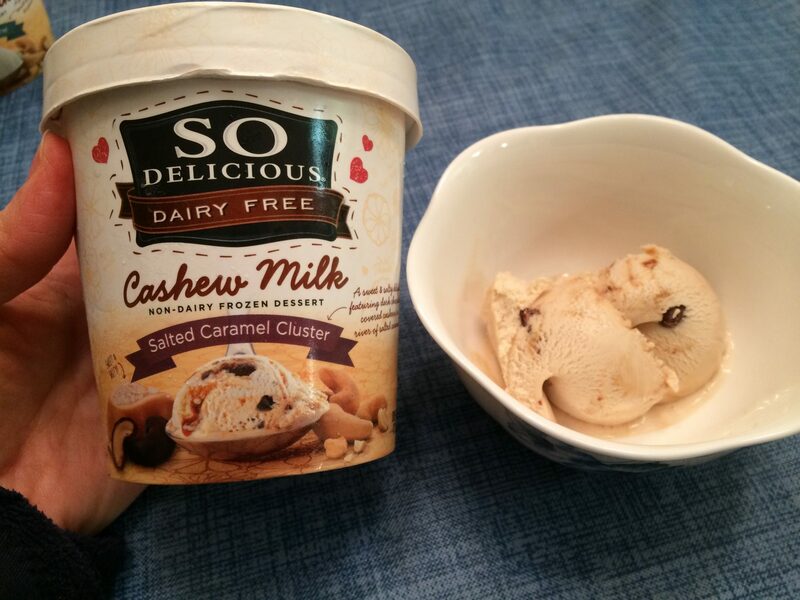 With super yummy treats like this from So Delicious, it is really easy to make the switch to vegan ice creams :) These new cashew milk ice creams really are soooooo delicious! 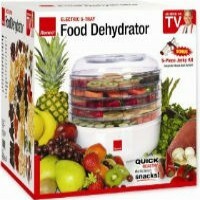 I just tried the Snickerdoodle flavor! Yum! I don’t miss ice cream and all its after effects at all!